As Sepp Blatter creates the wrong sort of headlines, grassroots football sends out the right message on racism in the game with the finals of the Kick It Out Cup. The Kick It Out Cup drew to a close last weekend with 5-a-side teams from across the UK competing in the finals of one of the game’s largest amateur tournaments. 378 teams from across the country had been whittled down to a final 50 who battled it out in Lucozade Powerleague centres in Manchester and London on an action-packed weekend that drew the 2011 One Game, One Community weeks of action to a close. Kick It Out joined forces with Club Website and Lucozade Powerleague for the first competition of its kind, designed to mark the weeks of action, equality in football and raise awareness of the range of initiatives taking place at grassroots level. The southern finals kicked proceedings off on Saturday (12 November) in Mill Hill, London, with teams representing Birmingham, Basingstoke, Slough and Hounslow playing games over a four-hour period. Michael Bennett, former Charlton Athletic and Wimbledon winger, now Head of Education at the Professional Footballers’ Association, was on hand to guide and advise teams as they made their way through the group stages. The final saw Catford’s Pit Runners beat Multiple Score from Cardiff. The northern finals took centre stage the following day as teams from Scotland, Wigan and Stockton-on-Tees faced opposition from Stoke, Sheffield and Stockport at the Trafford Powerleague centre. 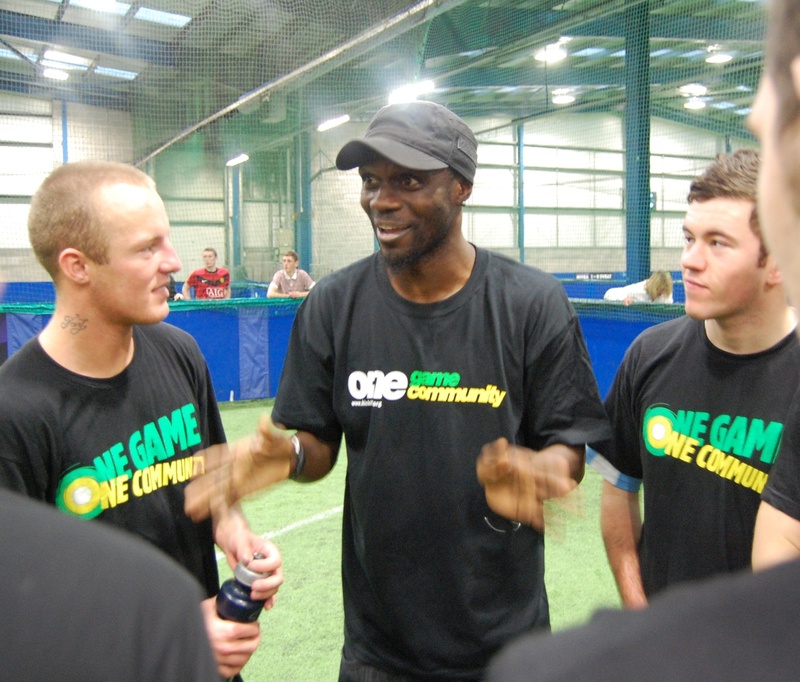 Efe Sodje, a World Cup star with Nigeria and current Burnley defender, and Earl Barrett, who started his career across town at Manchester City, going on to represent Aston Villa, Everton and England, acted as mentors and managers for the day. The final was a north-west affair contested by Pendleton Rovers from Salford and Fubar FC from Preston, with Rovers netting five in five minutes to become champions. Managerial duo Elina Parker and Gary Thomas were keen to stress the wider impact of the victory: “Many of the lads use the club as diversion from street life and some of the temptations on offer," said Elina, who started the club five years ago. Midfielder Dale Grant, from defeated finalists Fubar FC - who only formed on the morning of the tournament - applauded the victors and gave his backing to the tournament as a whole. 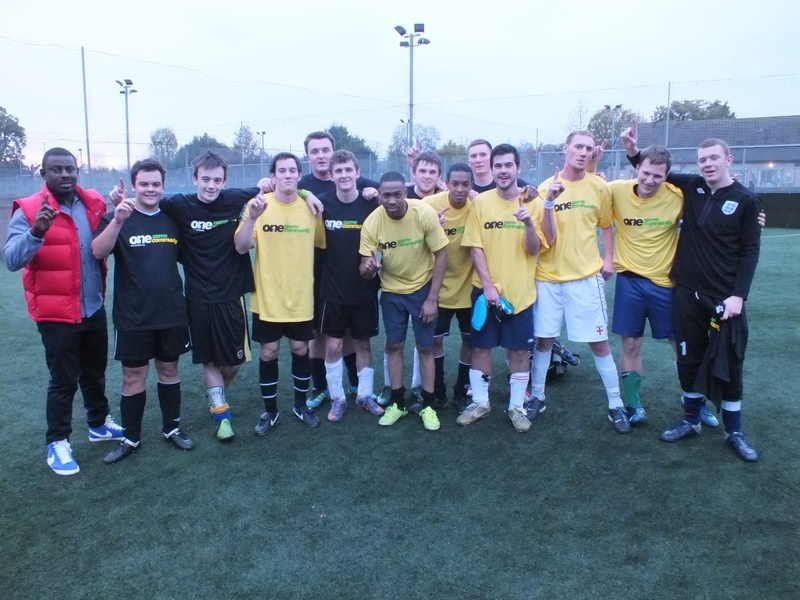 The 2011 Kick It Out Cup was a joint initiative between Club Website, Lucozade Powerleague and Kick It Out. Thanks to all of the teams who entered and showed their support for equality and inclusion in football, whilst helping to raise almost £2,000 for Kick It Out, a registered charity. To find out more about the work of Kick It out visit www.kickitout.org. To find your local Lucozade Powerleague centre visit www.powerleague.co.uk.